Manager Ole Gunnar Solskjaer revealed that goalkeeper Peter Schmeichel was more instrumental than him for Manchester United’s historic treble. 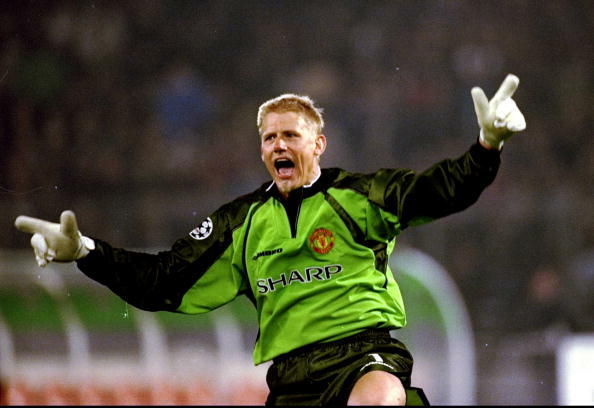 One of Manchester United’s greatest achievements is the 1999 treble that was possible due to the extra time goal from Ole Gunnar Solskjaer vs Bayern Munich, but the striker prefers to give more credit to Danish goalkeeper Peter Schmeichel and his saves. Throughout the whole season between 1998 and 1999, Manchester United really struggled to get all the trophies they conquered back then and they had Arsenal as their biggest rival to prevent them from reaching that goal. At that specific time, Arsene Wenger had just arrived at the Gunners and they were instantly one of the top title contenders to Sir Alex Ferguson’s Manchester United. If it hadn’t been for Peter Schmeichel’s incredible performances that season, specifically against Arsenal, United wouldn’t have won the FA Cup and Solskjaer’s goal vs Bayern wouldn’t have been as significant. Ole Gunnar Solskjaer is well aware of the goalie’s heroics, which is why he tries to remember him every time that magical treble season is brought up in a conversation. Ole knows exactly where he stands today, he will always recognize credit where it’s due and Peter Schmeichel is no exception. Ahead of Manchester United’s FA Cup clash against Arsenal FC, the Norwegian manager recalled the heroics of one Peter Schmeichel in that mythical clash against the Gunners that ended with the solo goal that made Ryan Giggs a Red Devils’ legend. That save the Danish goalkeeper made against Denis Bergkamp just moments before ‘Giggsy’ scored the winner. “The semi-final in 1999 is such an important game,” Solskjaer said ahead of Friday’s cup clash via Sky Sports. “When I played, Arsenal were our closest rivals,” he added. 14 de abril de 1999. Semifinal de la FA Cup 98/99: Manchester United vs. Arsenal. El partido quedó 1-1 en los 90'. Sharing the glory is something that all Manchester United players were taught from the youth academy, something that foreign players like Solskjaer and Schmeichel learned from during their time at the club and eventually turned them into the die-hard United supporters they are today. Ole Gunnar Solskjaer coaching the Red Devils right now after so much history he lived during that golden era, is something that was perhaps meant to happen sooner or later. Even if the Norwegian manager doesn’t get to win a single trophy during his spell with the club and he gets sacked after only one season, there is no doubt in anyone’s mind that Ole Gunnar Solskjaer has already made a profound impression on everyone no only as the player he was, but as the manager he is turning up to be. That modest demeanor he has is a characteristic that always pushed him forward as a player, and is helping him earn the respect of his peers as a manager right now. The FA Cup clash against Arsenal is set to be played at the Emirates Stadium on Friday, as part of the tournament’s fourth round. A bone-fide classic that had it all : a last minute penalty save, extra-time, a marginal off-side call,a sending off and a wonder goal. What do you expect from this FA Cup match between Arsenal and Manchester United? Please share your opinion in the comment section down below.